If Ireland qualify for Euro 2020 they are guaranteed to be playing against Spain in Group Stages if Spain qualify. Draw will be made to see whether its in Bilbao or at Dublin Arena. 4 goals wow that would be a lot of goals for Ireland no matter who we are playing considering how bad we are in terms of strikers and attacking midfielders. It will be interesting to see firstly if we will actually even try and play football under Big Mick and 2 will he be able to find some ways to make us more dangerous in attack. That has been long over due considering how he has been the man at the helm that was presiding over the decline of our national team in terms of the total lack of top quality talent of any note being brought through because we had no structures within Ireland to develop and give our best young talents the best possible young football education rather just assuming everything would be ok once kids went over the Irish sea. 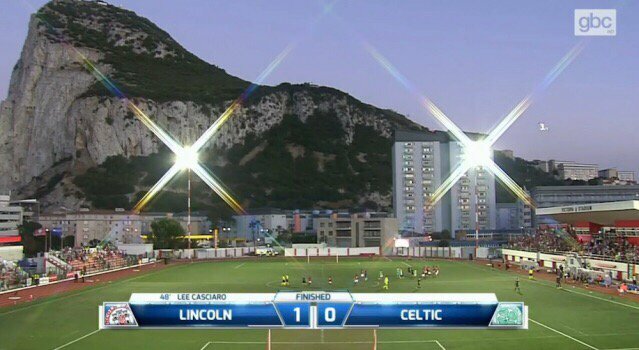 The * show we are witnessing in Gibraltar being the outcome of that policy of Delaney's. Hendrick gives us the lead finally although it came just a minute after Gibraltar had a good chance themselves. I am a bit surprised that it is only Hendrick's second international goal. Deary me , this is terrible . The almost total lack of top level talent on the field is indicative of the legacy of lack of player education and structures to bring through talent in Ireland under Delaney. Seosamh Máirtín and StPauli1916 like this. Im surprised that it isnt a much bigger scoreline. Scotland beat them 6-0 and 6-1 so how the * cant Ireland be doing better. Plus Ireland beat them 7-0 and 4-0 in previous qualifiers. 3 points in the bag at least. Gabriel and StPauli1916 like this. 1-0 Ireland is the final. A pathetic performance from Ireland no other word to describe it. I don't blame Big Mick. He was just brave enough to step up into the hot seat knowing as he does that he is inheriting the worst Ireland squad since probably the mid 70's. We had Robbie Keane still playing and scoring in those games. Got a hat trick I think in the home one. Facts are the current Ireland squad is devoid of talent of any serious note and especially up front and we have no play making midfielders.